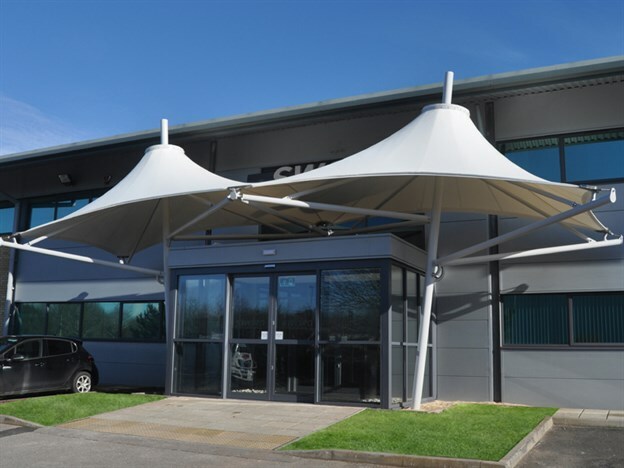 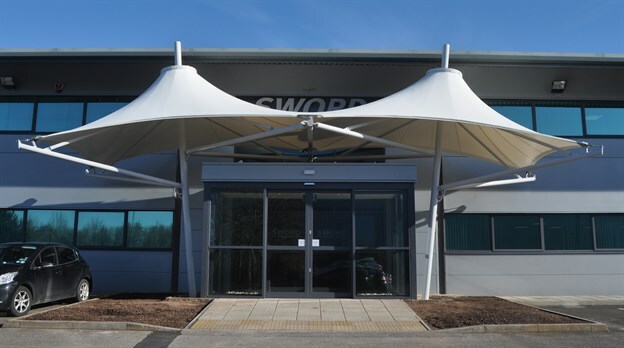 Global financial software provider, Sword Apak, is a rapidly expanding business and recently moved to a larger building in a new location in East Bristol. 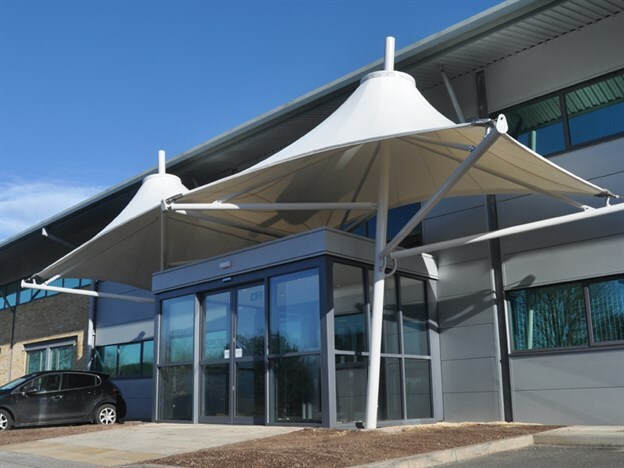 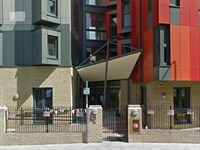 They had a requirement for a canopy to highlight their new entrance. 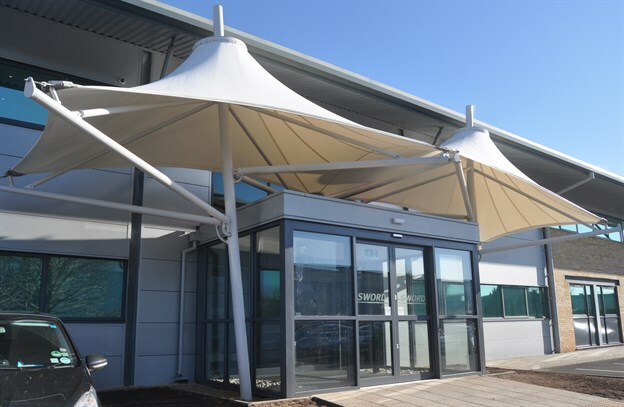 The entrance structure provides both weather protection and draws attention to the new entrance area. 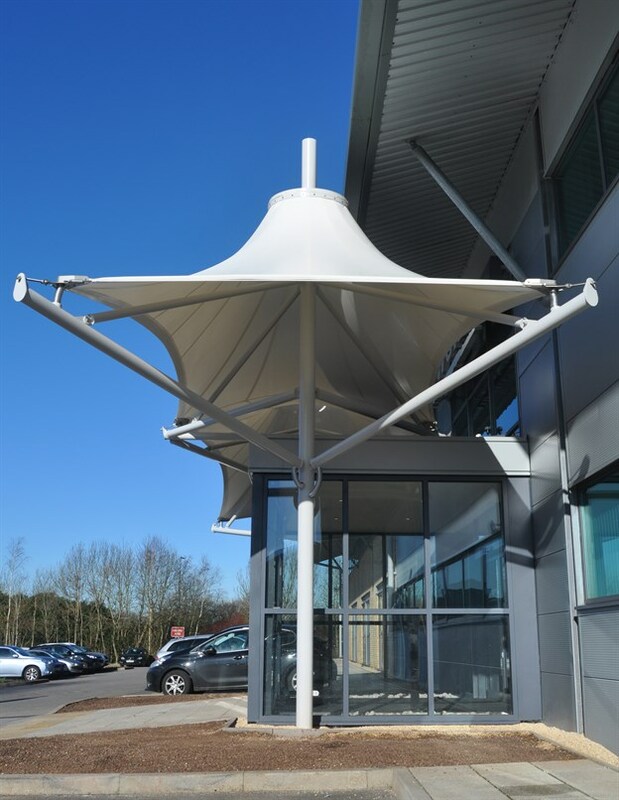 This classic double conic form is supported by a tubular steel framework and incorporates an internal gutter system to divert rain water run-off. 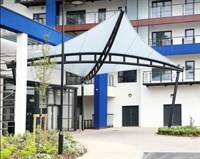 The structure will have a lifespan of 20 years plus with annual cleaning.